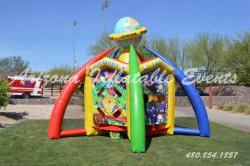 The 5 Game Challenge is a unique inflatable that has 5 games in one unit. 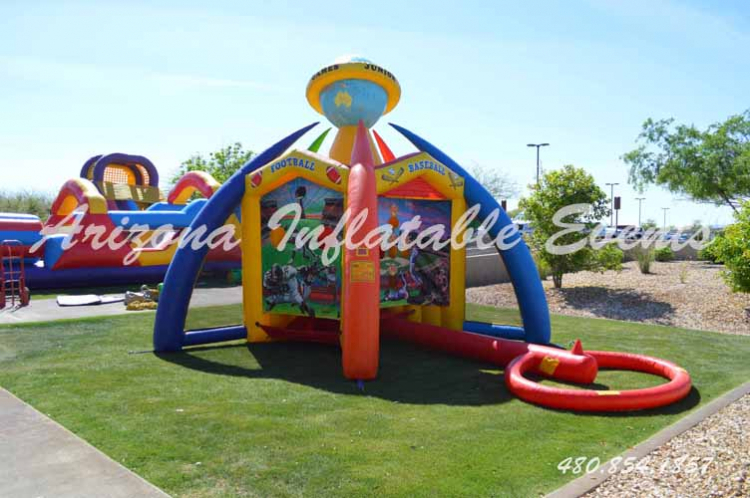 This giant game measures 24 feet long by 17 feet wide by 13 feet high but requires a space 30 feet long by 25 feet wide. 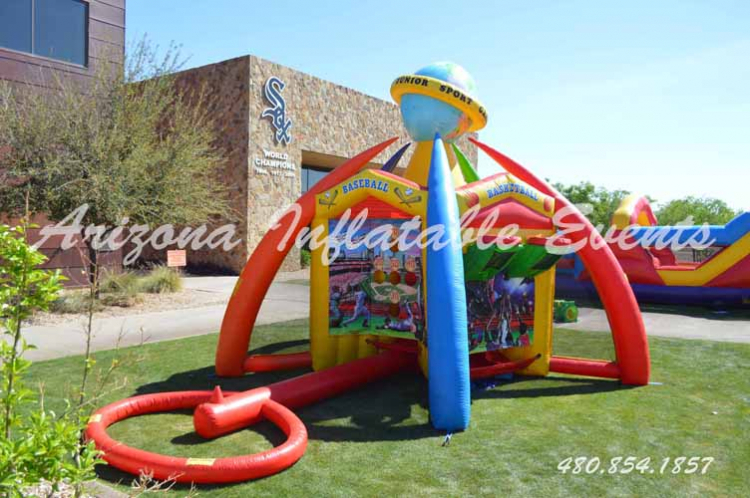 This inflatable rental includes basketball, football, soccer ball, tee ball, and Velcro darts. The 5 Game Challenge includes all the balls and accessories needed to play the games. 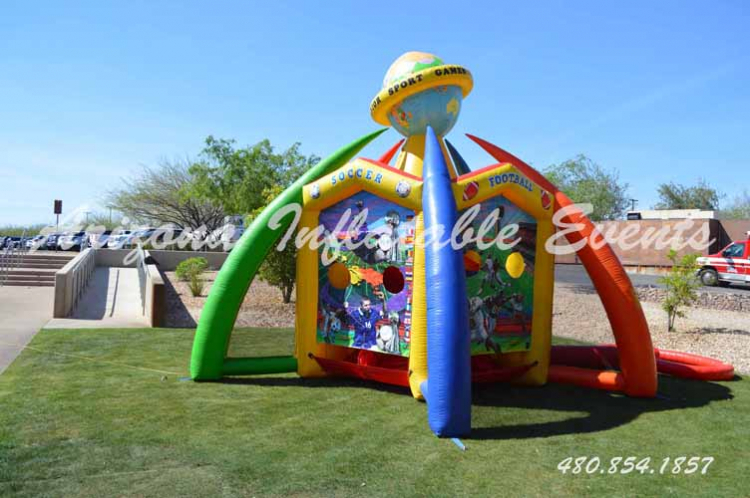 This inflatable allows 9 participants to play at one time, 9 players at one time is a lot! 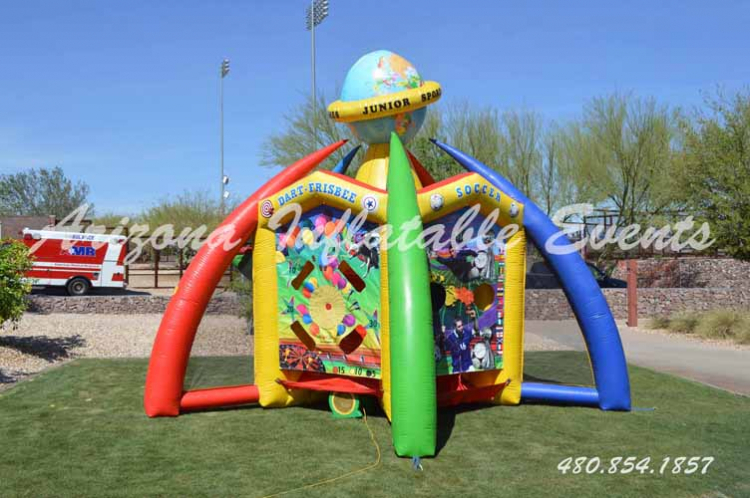 Call Arizona Inflatable Events to reserve your giant inflatable game today.